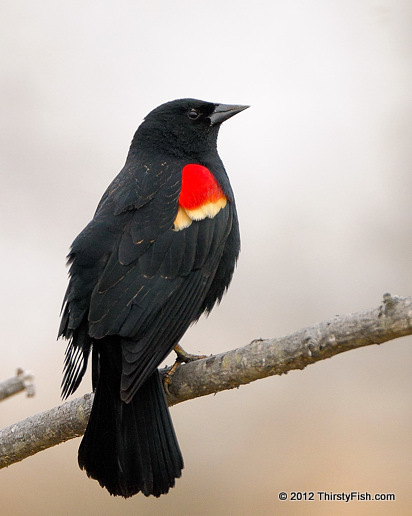 In the Lakota language, the Red-winged Blackbird is called wablosa, "wings of red". It's scientific name is Agelaius Phoeniceus (flocking red). In the disciplines of Philosophy of Science and Epistemology, the concept of certainty poses some fundamental questions. Certainty is defined objectively as perfect knowledge that is free from error, and subjectively as complete lack of doubt. Can we be objectively certain about anything? Logical reasoning takes two basic forms: Deductive reasoning, where a general case is used to deduct specific instances, with the presumption that the general case is applicable in all cases, and, inductive reasoning, where a general rule is derived from a specific case. Deduction fails in explaining exceptions and leads to deductive fallacies. Induction is vulnerable to faulty generalizations. Although far from perfect, we rely on a combination of deduction and induction to "explain" the world around us. History teaches us that there are only a few things that we can be absolutely certain of. On the other hand, we can be reasonably confident (confidence interval) about some of our explanations of phenomena. We must constantly modify our best guesses to deal with the complex world around us, and the errors in our judgement.